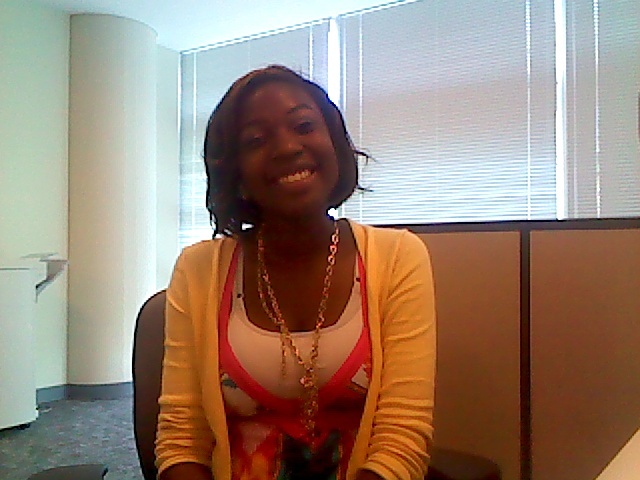 On the second day of the DCRA Summer Youth Employment Program we asked 21 year old Andrea Plowden a couple of questions about her second day of work. She attends Ballou High School. She plans to go to college in the fall. We asked her what she plans to do with the money she’ll earn this summer and she said that she plans on saving it. We also asked her what her expectation was from doing this job for the summer. Andrea told us she wanted to earn a permanent job. I ran into 16 year-old Jabriel Imgram who is also really excited about the job. Jabriel seems to be a bright young man. This coming school year, he will be a junior at Coolidge Senior High School. He wants his resume to stand out more so that’s why he decided to work in the DCRA office building. So, when its time to find a job he will already have that type of experience. With the money he makes here, he wants to go shopping, help pay bills and most of all he wants to get tattoos.